Myanmar is a country full of contrasts. On the one hand it’s a country that is changing very quickly thanks to its opening to international tourism. New hotels are being built and new restaurants are opened on every corner. On the other hand walking on the streets you can see most of the men wearing the typical Burmese long skirt (longyi) and many women and men wear thanaka (a yellow colored natural pasture) on their face. 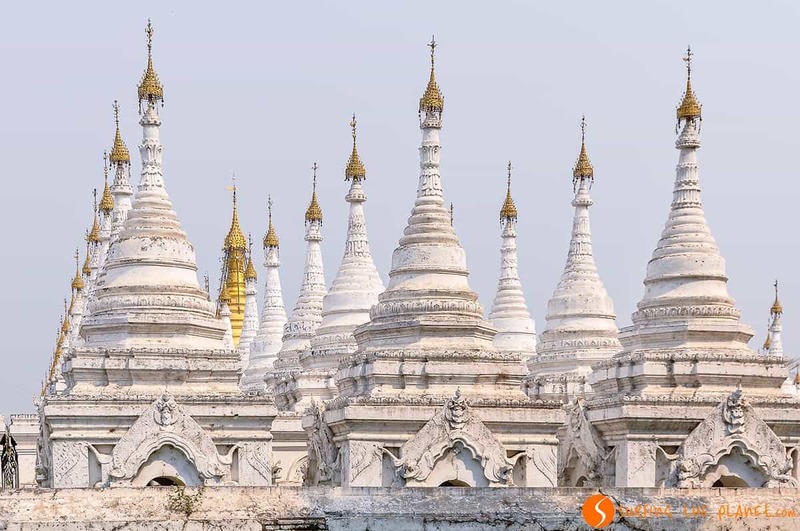 As you explore this country, you will feel most of the time that to travel to Myanmar means also to travel to the past, in spite of the modernization of the country. Myanmar or as formerly called Burma differs a lot from the rest of the countries in Southeast Asia. It’s hard to summarize in one article all the things to see in Myanmar and all you can feel and live in this country. 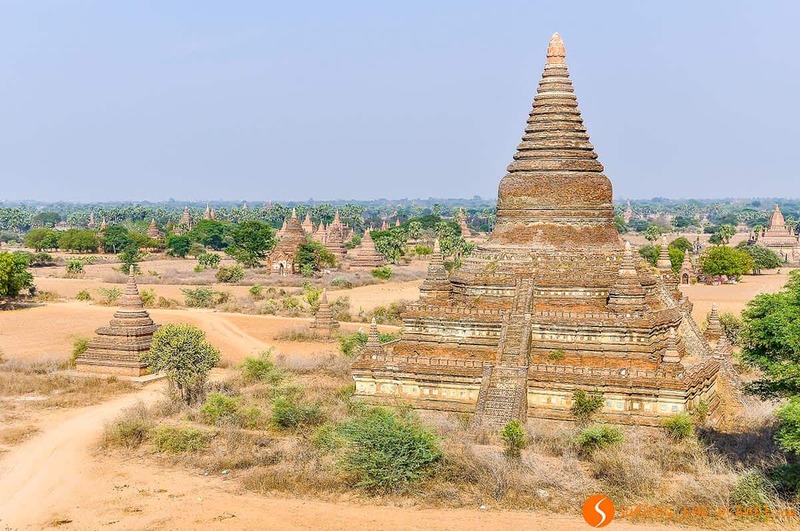 The major attraction of course are the temples of Bagan, one of the most impressive human creations on our planet, but there will be many other things to make your trip to Myanmar unforgettable. Not only hundreds of pagodas and precious landscapes, but most of all the charming people of Myanmar who will always treat you with a smile. In order to help you with your trip, we prepared you an itinerary with the most essential things to see in Myanmar in 2 weeks. Two weeks are a bit short, therefore, if you have more time, we strongly recommend you to spend some more days in this wonderful country. The itinerary we prepared you starts in Yangon, the capital, and finishes in Mandalay. Both cities have international airports, therefore following this itinerary you won’t have to go back to the starting point. 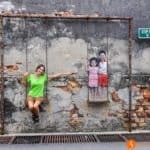 Yangon (also known as Rangoon), the capital of Myanmar will probably be your first contact with Myanmar, and the first sensation might not be the best. Yangon is a quite chaotic and decadent city, so you will have a hard time to get used to it. 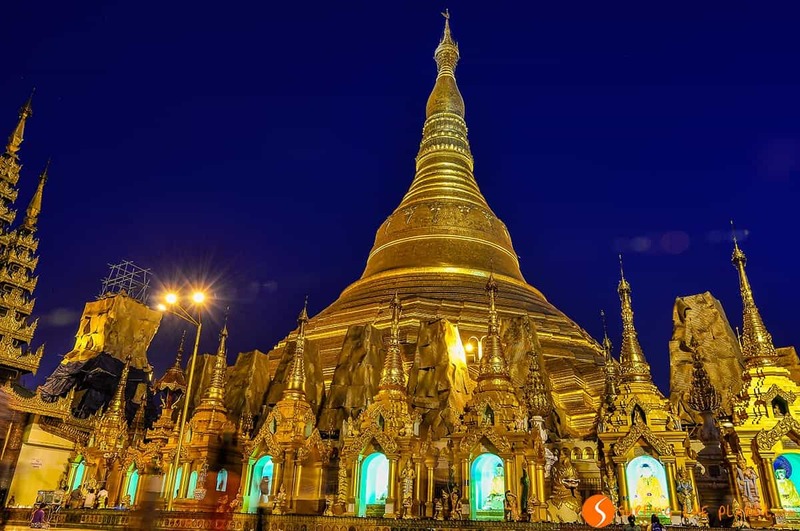 Nevertheless, in Yangon you will find one of the most impressive monuments of the country, the fascinating Shwedagon Pagoda. It’s one of the most important Buddhist temples in Asia, a giant temple complex with a huge (more than 100 m high) golden stupa in the middle. We recommend you to visit in the afternoon before sunset, thus you will have the chance to see it by day and also at night when it is beautifully illuminated. Bago, the antique Burmese capital is situated at only a couple hour bus ride from Yangon. It’s a quite dusty town, but it’s filled with important religious monuments. You will need at least a day to see the most important ones, such as the Shwemawdaw Paya, a pagoda with a giant golden stupa and the Mahazedi Shethalyaung Buddha, a temple with a reclining Buddha-statue. 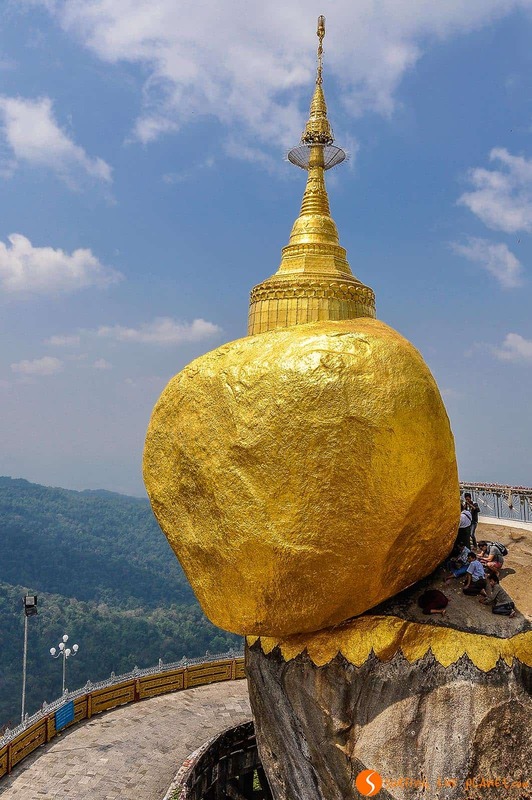 Near Bago, you will also find one of the most important Buddhist monuments of Southeast Asia, the Golden Rock. A rock that is balancing in equilibrium over the Valley of Kyaiktiyo. According to the legend, a hair of Buddha prevents the rock from falling down, therefore it’s not surprising that thousands peregrinate here every year to see this monument. The trip to the Golden Rock from Bago is quite exhaustive, first you will need to take a tuk-tuk (quite uncomfortable) for a few hour trip till Kinpum, where you will have to get on a truck that take people up to the mountain. 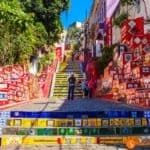 From there you will have to climb the stairs barefoot till you get to the Golden Rock. One of the most memorable things to do in Myanmar is without doubt to set out on a 3-day trek from Kalaw to Inle Lake. It’s a unique experience, since on the road you will have the chance to visit small villages on the Burmese countryside. You will see how these people live their simple life, how they cultivate their lands using animals mostly. The people you will meet are really nice and curious, since they are not as much used to seeing foreign people as those in the cities. 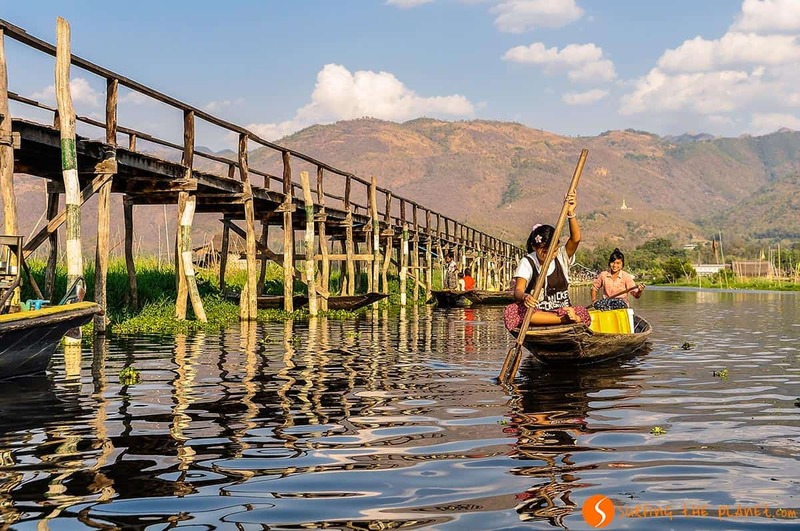 The trail is usually done in small groups with a guide, starting from Kalaw and takes 3 days till Nyaungshwe, the most important settlement on the shores of Inle Lake. One of the most picturesque places in Myanmar is the Inle Lake. 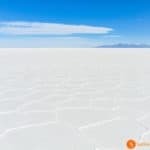 In this lake you will be able to see floating villages and markets, and you will meet the typical fishermen of this lake who use an ancient and very unique fishing technique. It’s worth exploring the shores by bike and also hiring a boat with a guide to explore the lake. One of the most authentic villages you can visit is Ming Thauk. You can get there by bicycle and you will have to cross a long wooden bridge to get to the floating village. You can hire a guide for a 1-hour tour to see from close how people live in these houses on stilts and how they cultivate their lands on the water. 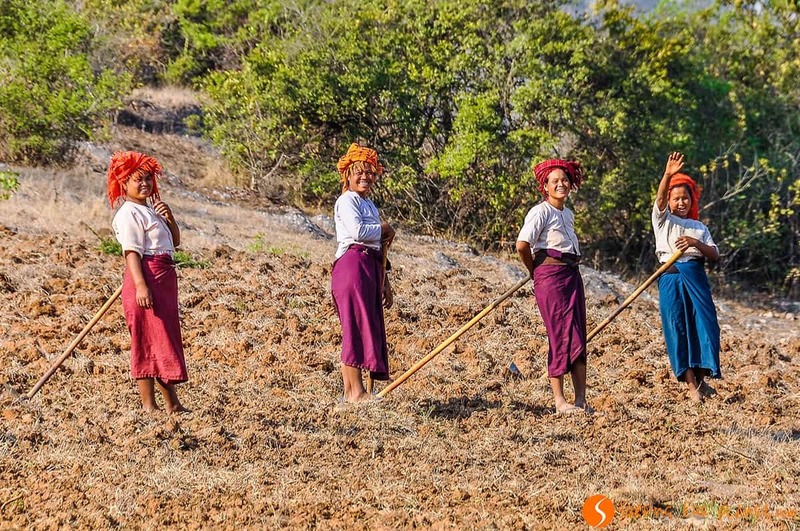 The village of Hsipaw in the North of Myanmar is known for two reasons. On the one hand, it’s the starting point for trekkings you can do in the mountains around, and on the other hand the train journey from Hsipaw to Pyin Oo Lwin is one of the most amazing trips you can do in the country. The train goes really slowly, but this allows you to contemplate the rural scenery from the train window. In addition, when the train stops at the stations, a lot of women appear with their trays filled with food. Some of them even get on the train, it’s a real show! 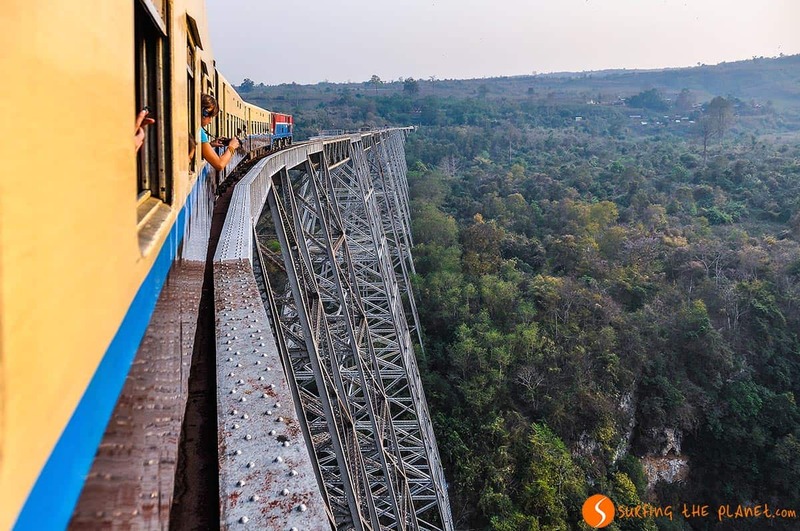 The most waited moment of the journey is when the train crosses the Gokteik Viaduct, an impressive steel bridge from which you will have a vertiginous view on the river, more than a 100 meters below. If you had to pick just one thing to see in Myanmar that would surely be the temple complex in Bagan. The more than 2000 pagodas and stupas you will find in Bagan represent one of the most spectacular religious complexes in Asia. Maybe seeing the temples of Angkor Wat in Cambodia can compete with the sensation of climbing one of these stupas to admire this forest of smaller and larger pagodas till the horizon ends. We indicated 3 days to see the temples, but if you have more time, it’s better. We spent almost a week enjoying the singularity of this fascinating place. There are larger temples, which are spectacular on their own like Sulamani, Shwezigon or Ananda, but the best experience is to visit the less known ones, which are farther from the main road. Some of the temples you can get to visit only if the family that lives nearby open it for your with their key. Many pagodas have beautiful paintings on the inside, and you should take a torch with you to see them well. You might have heard about the earthquake in 2006 that caused important destruction in the temples of Bagan. Nevertheless, although some of the temples were damaged, fellow travelers who have recently visited Bagan told us that the overall beauty of Bagan was not harmed at all. Mandalay is another big city in Myanmar, but it’s much more pleasant than Yangon. In Mandalay you can visit Mandalay Hill with some nice temples, but the most precious sites are located in the surroundings of the city. You can visit Mingun (one of the ancient capitals of Burma) by boat, crossing the River Ayeyarwady, whereas you can get to the impressive temples of Sagaing (once also capital) on land. To finish your journey, there’s still left the most beautiful sunset to see in Myanmar. 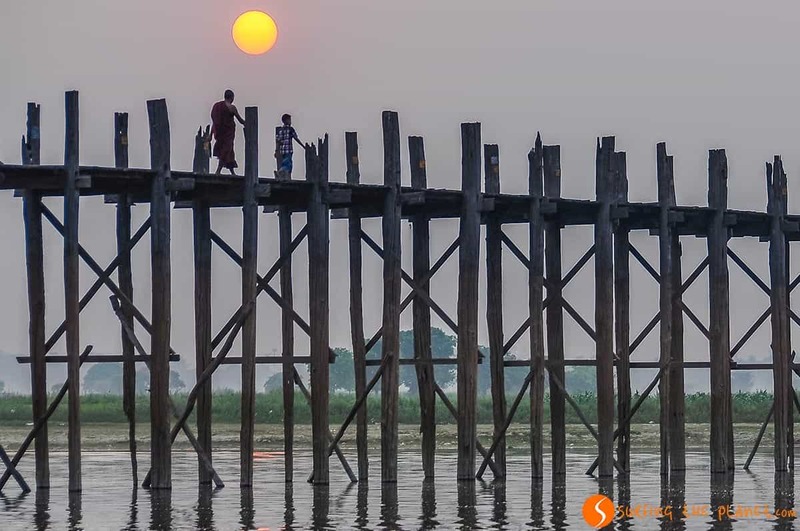 The famous U-Bein Bridge, the longest teakwood bridge in the world, used by hundreds of Buddhist monks every day is a really special site, especially around sunset. We hope that you found this itinerary helpful to plan your travel to Myanmar. 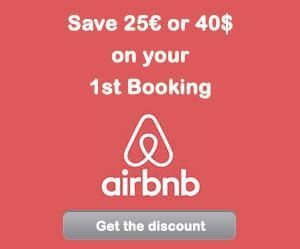 – ZZZ… BOOK YOUR HOTEL IN MYANMAR – find the best hotel for you. – FLYYY… Find the CHEAPEST FLIGHT TO MYANMAR. – BRUM BRUM… RENT A CHEAP CAR FOR YOUR TRIP AROUND MYANMAR – find the best car for you. Wow the color and scenery here is nothing short of breathtaking! I would love to visit all these places. Thanks Kevin! Myanmar is really precious! Wow! Do you have any tips for travel tips for staying safe? Veronica, Myanmar seemed, just as most of Southeast Asia, very safe to us. We didn’t have any feeling of insecurity even walking at night in larger cities. Of course, basic logics apply here too, don’t leave your stuff unattended, but apart from this, few safety issues could be raised.